All we have to say is WOW!! 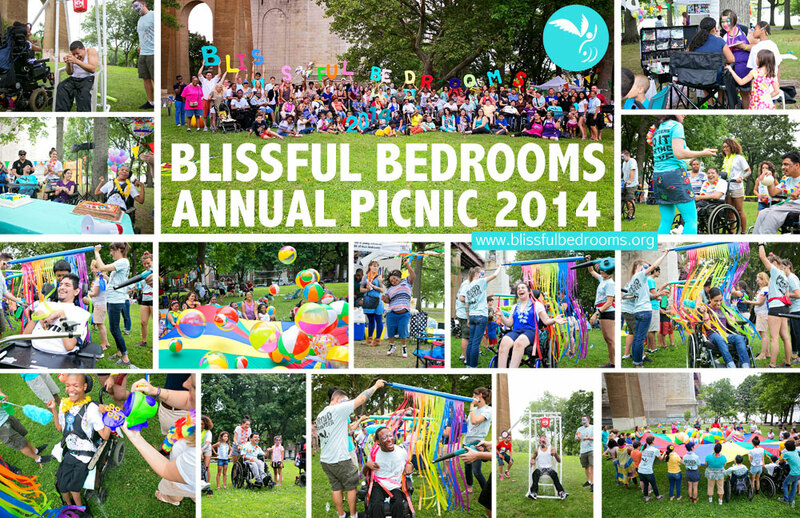 What a wonderful, glorious and fulfilling day everyone had at the 5th Annual Blissful Bedrooms Picnic in Astoria Park! 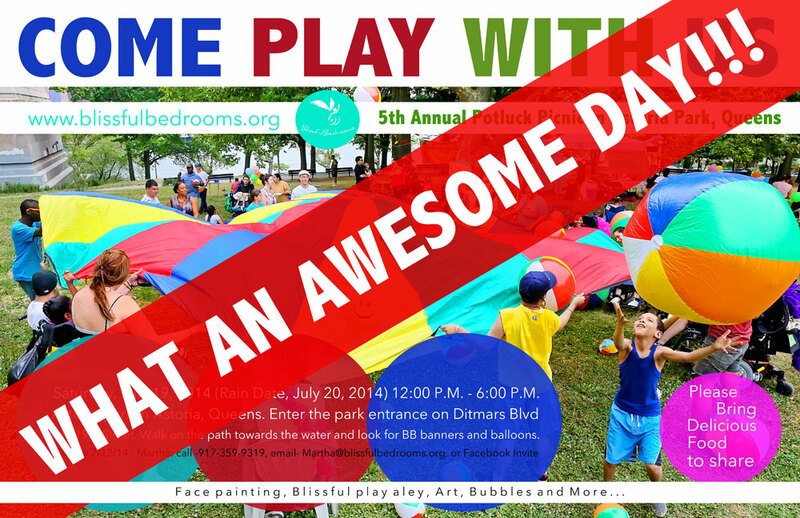 Thank you to all of the beautiful young individuals with disabilities and their wonderful, caring families who came out and filled the park with joy, and all of our neighbors and friends who joined us and showed their support. We are continually filled with gratitude for the opportunity to be with you all creating happiness and enjoying life together. A ginormous shout out to the volunteers who are responsible for making this magical event happen from setup to breakdown and everything in between. Each and every one of you are extraordinary, loving, giving, fantastic human beings and we appreciate you being our partners in compassion. Thank you to the companies who sponsored the picnic. It may seem like a small gesture to you, but it amounts to BIG JOY for some very special people, as these pictures clearly illustrate, and we can’t thank you enough for your generosity.